Little did I know how easy it is to make-your-own Bibimbap until a couple of days ago when I was invited by Bibimbap Backpackers to Take 31, a restaurant in Korea town in NYC. 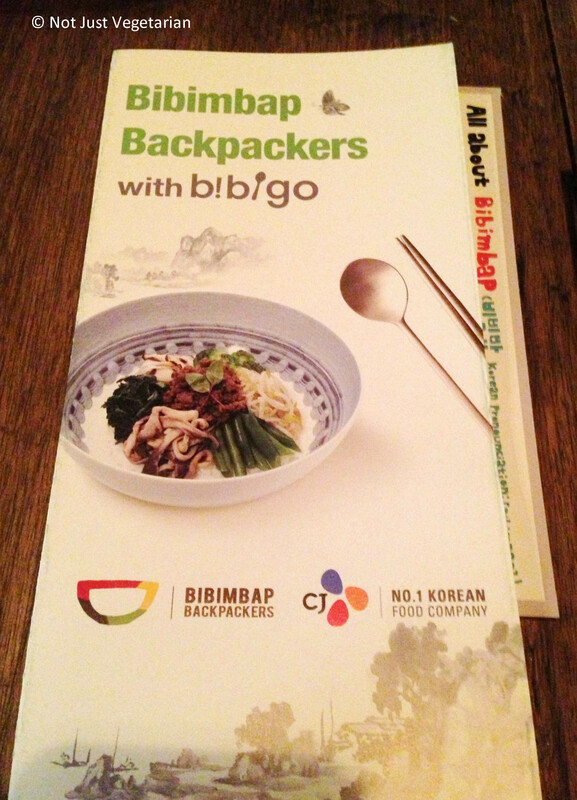 Bibimbap Backpackers is a non-profit organization that aims to introduce and promote a healthy Korean dish, Bibimbap (i.e., mixed rice), to the world. The event included a tasting of a few other Korean dishes – pajeon (scallion pancake with seafood), japchae (sweet potato glass noodles), mandu (fried dumplings with meat and vegetable stuffing), and a hotteok (Korean sweet rice cake). 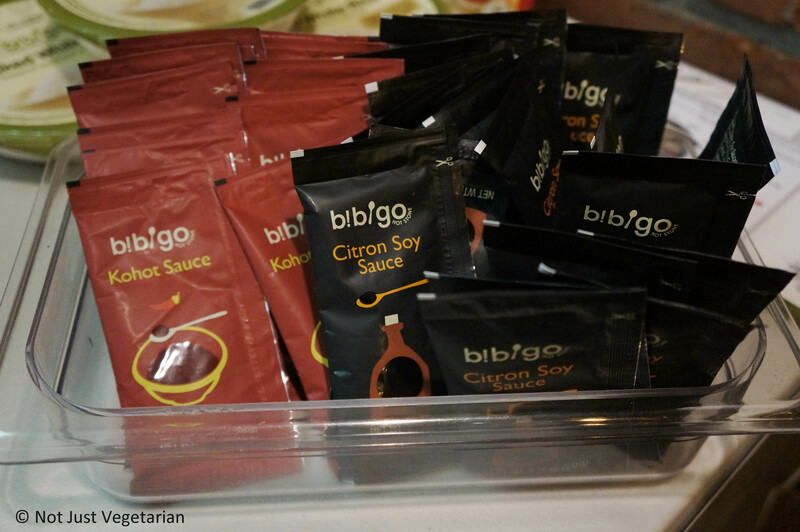 The ingredients (or rather toppings) for the Bibimbap were laid out neatly and the sauce (kohot) was provided in small sachets by Bibigo. It was eye-opening for me that a Bibimbap is so easy to make (especially when vegetables are readily chopped and laid out neatly by someone else)!! 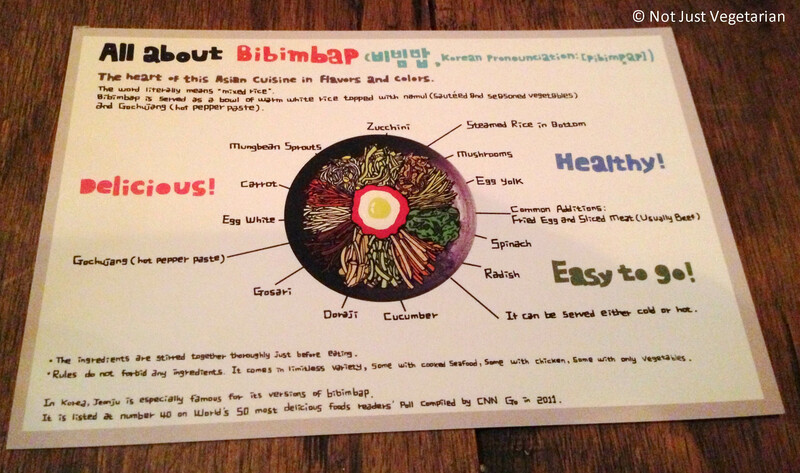 Now I am tempted to make my own vegan Bibimbap at home from this recipe by Korean Bapsang. 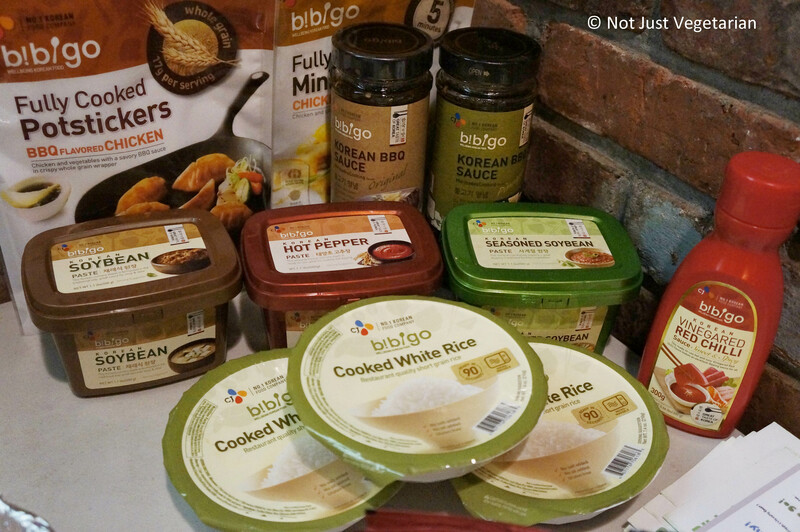 I loved this event also because it gave me an opportunity to connect with other food bloggers. My blogger friend from Fooducated joined me and we caught up on many things that have happened in the past year that we have not met. I am so thrilled she is back in NYC for the summer, so I can read her stories about inexpensive eating in NYC. At our table we met Justin Schwartz who has the most amazing collection of extremely appetizing gluten-free recipes on his Justcook NYC blog. 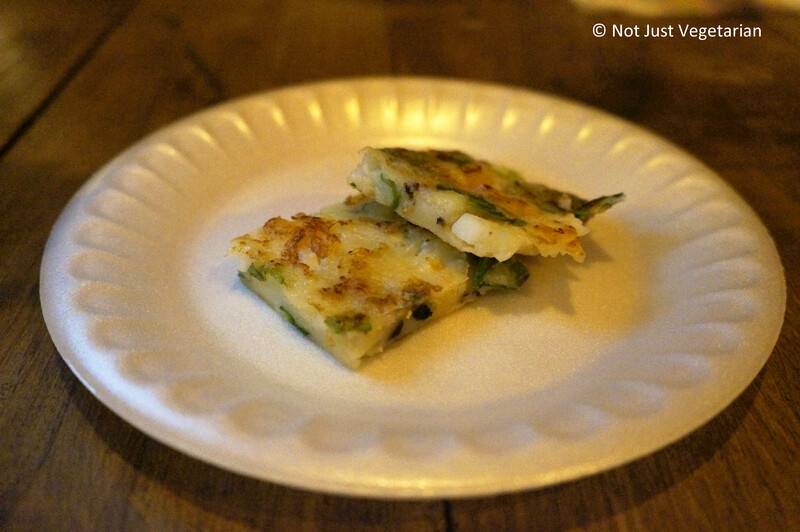 The scallion seafood pajeon tasted great, although I would have preferred it warm and with a soy-vinegar dipping sauce that is usually served along with it. 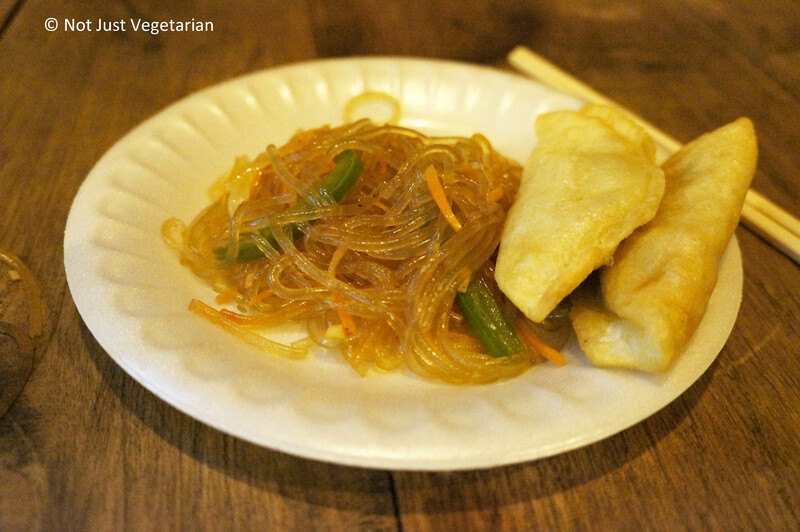 The Japchae (sweet potato glass noodles) were great too. The mandu (fried dumplings) were stuffed with minced meat and vegetable and while I am not a fan of meat, I must admit that I enjoyed the taste. While I wish I was served a vegan / vegetarian dumpling, I would have been happier had it been served hot off the frying pan. Now for the star of the event – the Bibimbap. The vegetables, fried tofu, egg, marinated and cooked chicken and beef were all laid out neatly (see pictures below). I chose to make a vegan bibimbap with vegetables and tofu. 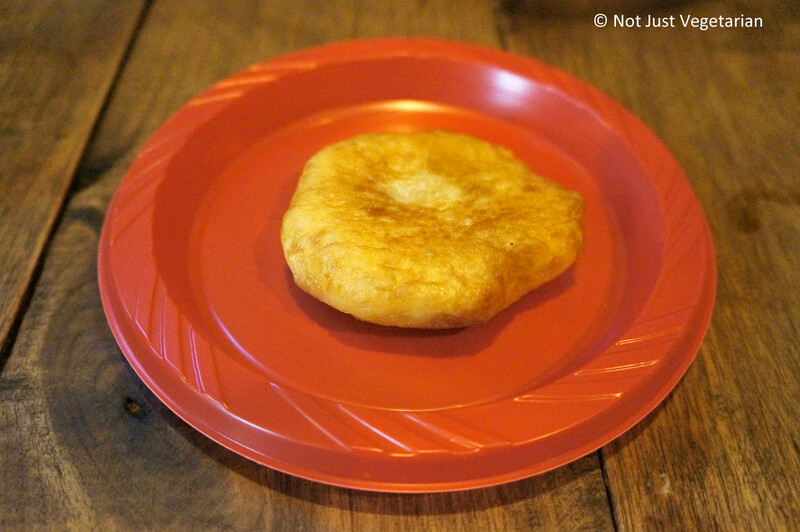 Now for the secret – it was as easy as mixing up everything in the bowl and adding the Kohot sauce!!! I liked this spicy kohot sauce over the other soy-citrus sauce that was also offered. The best thing about a Bibimbap is that you can make it with as many vegetables as you like, as little rice as you like (if you want to avoid carbs), as much protein as you like (boiled egg whites, chicken, or beef), and as much spicy sauce as you can handle and voila – it’s easy to customize it to your preference!! As if all this food was not filling enough, we were also served a Hotteok (Korean sweet rice cake). This was incredibly hot and very sweet with a delicious cinnamon flavor, and I loved it!! 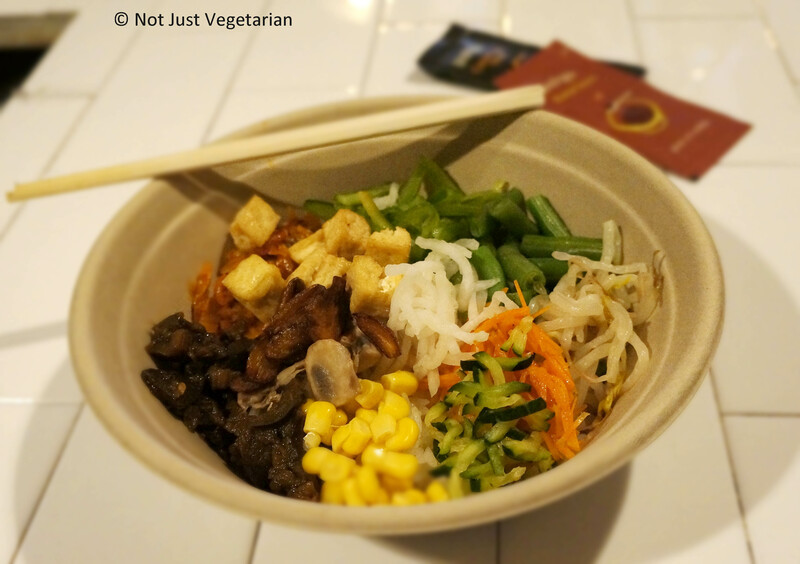 Thank you Bibimbap Backpackers for showing me how easy it is to make my own vegan Bibimbap!! I am also tempted to go back to Take 31 to try the rest of their menu. 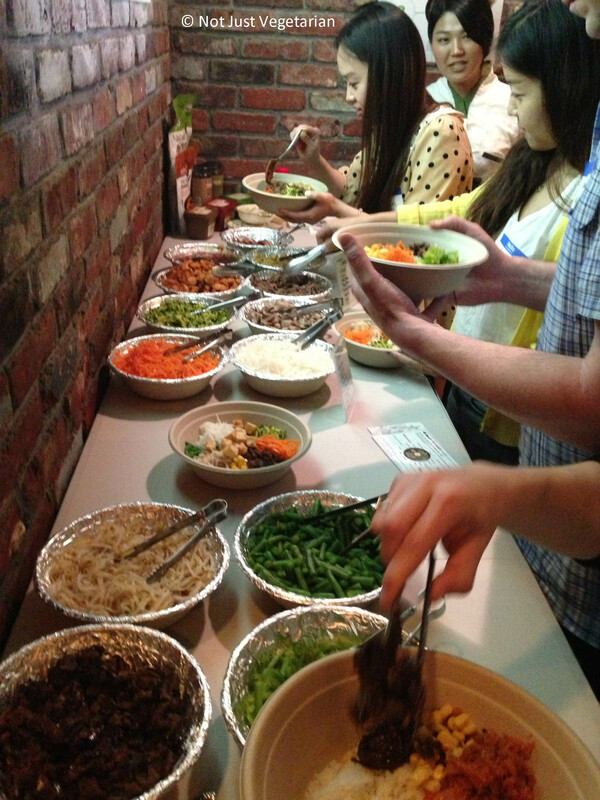 Note: This Make-your-own Bibimbap event was sponsored by Bibimbap Backpackers, but all views in this article are mine.